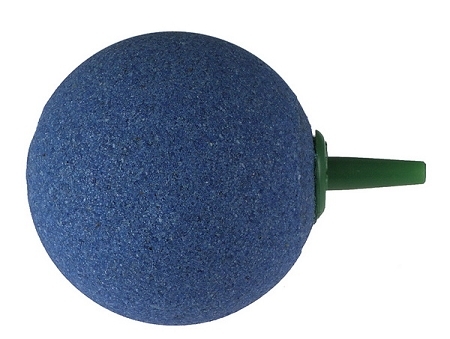 Our large round diffuser is about the size of a golf ball and works well in larger diameter lift tubes and will emit bubbles from all surfaces. The Rena range of economy resin molded diffusers render a larger bubble than the RenaCer air diffusers. The main advantage to these resin molded diffusers is the variety of shapes which are available which allows placement in more locations. They can be used in aquarium applications, ponds or laboratory equipment. Each diffuser has a hollow core fitted with 3/16" tubing barb and can be operated with lower pressure, less expensive air pumps.